The Li’l Boss!! 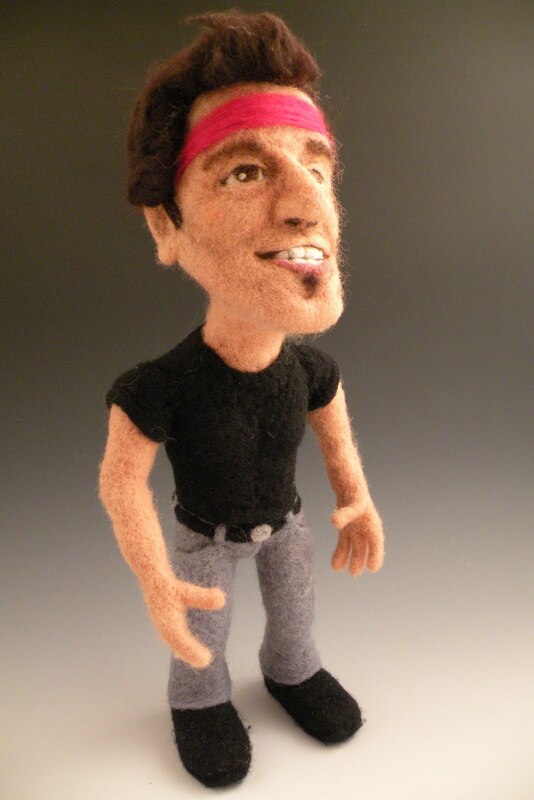 Yes, I made a needle felted caricature of Bruce Springsteen. 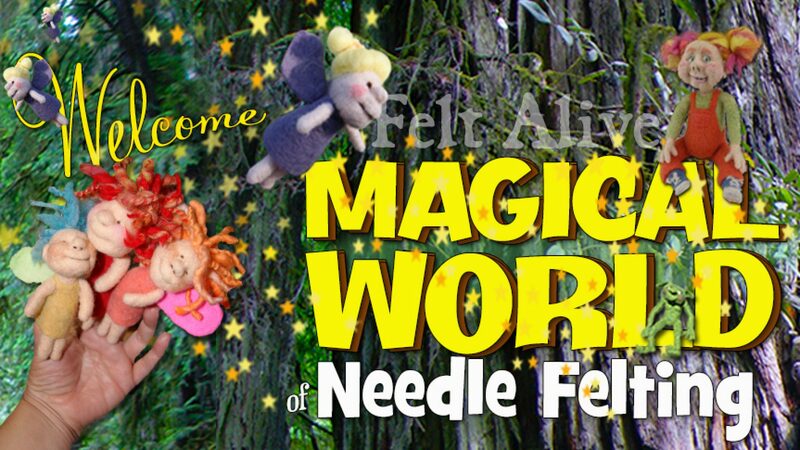 I listened to his music while I was bringing him to life – it was a great trip down memory lane and very inspirational. 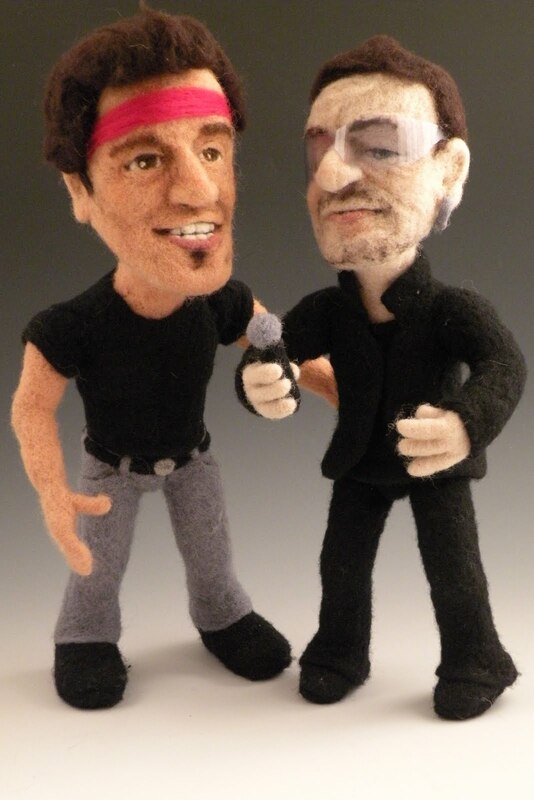 And Li’l Bono was happy to share the stage with The Li’l Boss!